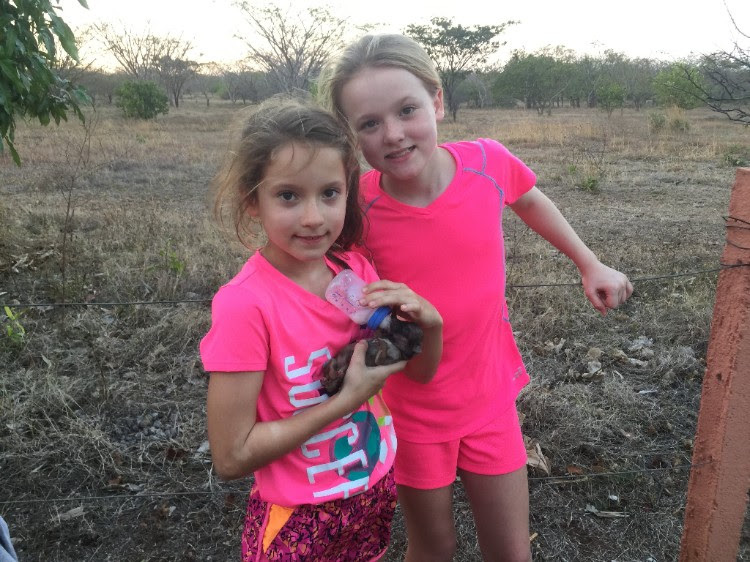 We made the difficult decision to take Ben, Rachel and Rebecca out of the small school they had been attending here in Granada. We have been asked to extend our stay here as missionaries, so we want to make sure they are receiving the best education possible. 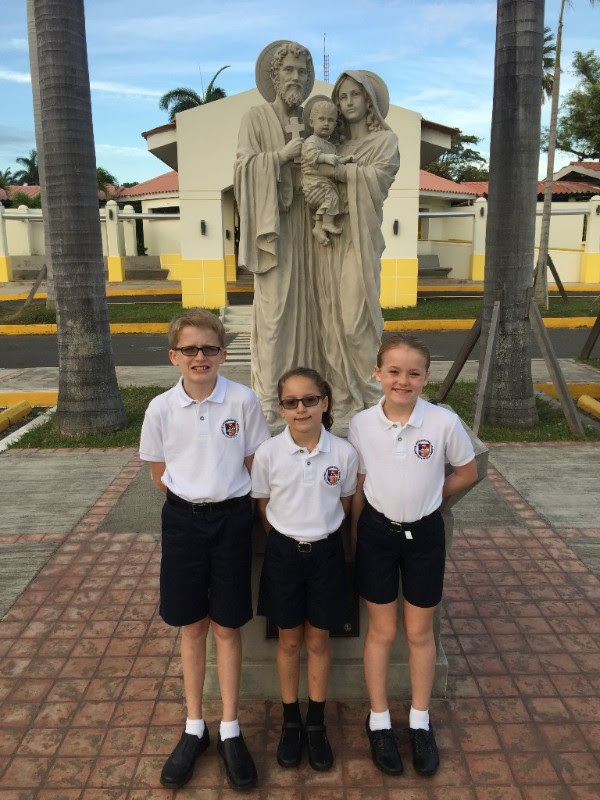 They love their new Catholic School in Managua and are adjusting to the daily bus ride - the school is about an hour away. We had confirmation that we made the right decision when on the first day of school Rachel came home so excited to tell us where her teacher went to college....Texas A&M! It is a small world indeed. 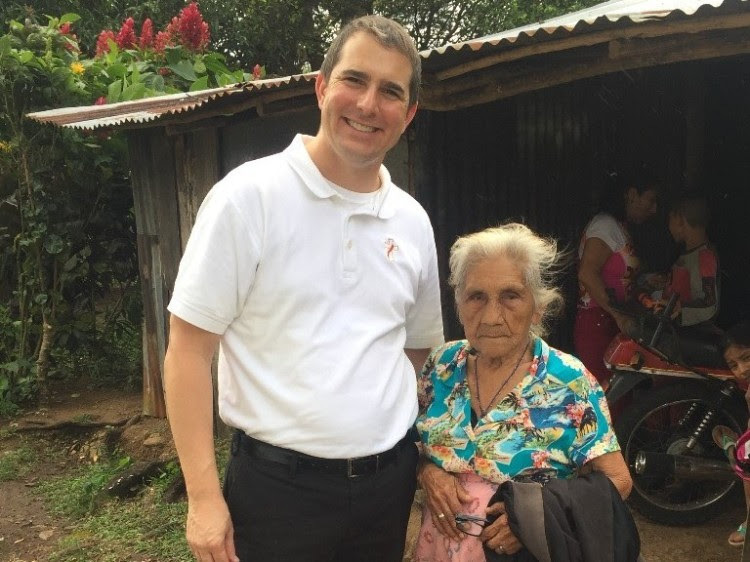 Thanks to your generosity, we have been able to to continue to reach some of the most underserved areas of Nicaragua with the vision project. It is a simple project, but has an incredible impact for those who have lived with poor vision. Often we find individuals who cannot see the big "E" on the top of the chart (I put the "E" in quotes as in many communities we actually use a picture chart due to the high rates of illiteracy), leave with glasses, completely amazed at how much they can now see! 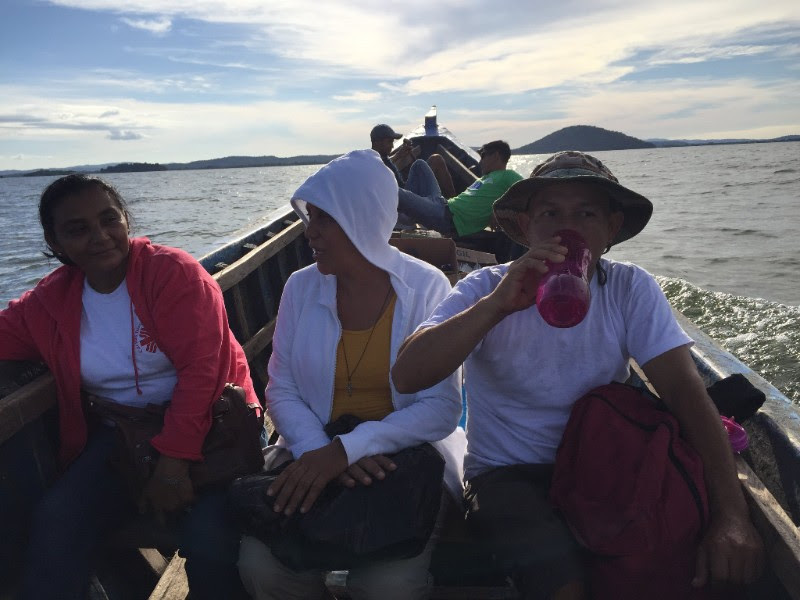 In the photos above, we went to a remote community on the Island of Zapatera, an extinct volcano in the waters of Lake Nicaragua. 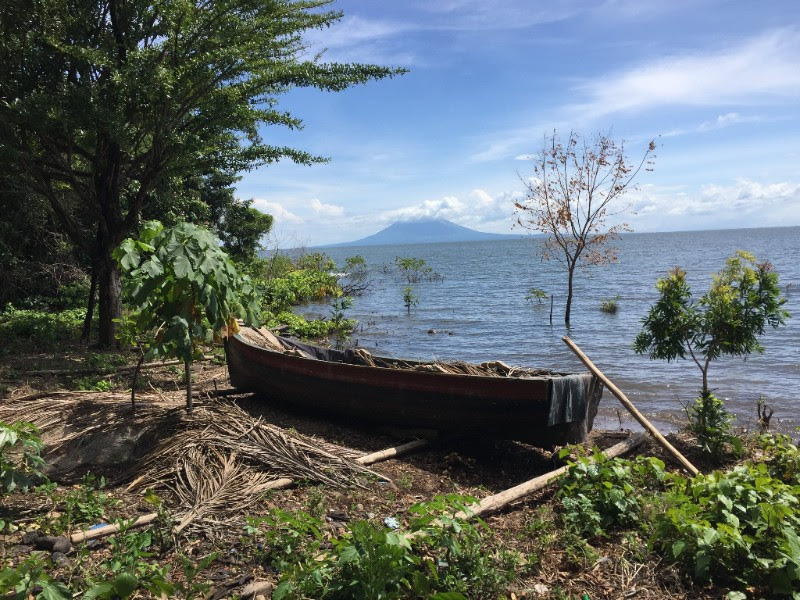 The island of Zapatera is now protected as a natural park, but the residents are allowed to continue to live off the land and the lake as long as they farm on existing plots and do not clear new land. 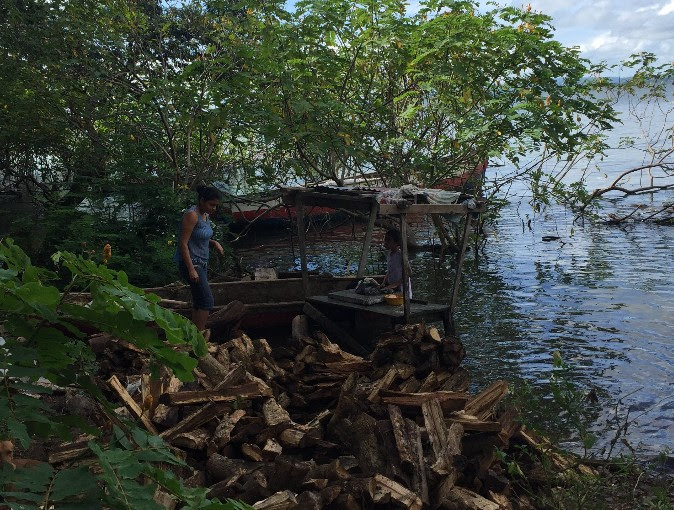 A visit is like stepping back in time, women and girls still wash clothes standing in the shallows of the lake, the men farm and fish to feed their families. They are also allowed to chop fallen trees and export the firewood to the mainland as a source of income. The people were very grateful for our visit, invited us to a nice fresh fish lunch and gave us a live chicken upon departure. My friend Richard, pictured above, was thirsty as he escorted us back to the mainland. He reached his water bottle over the side of the boat and began drinking, saying "I&apos;m forty years old and if the lake water hasn&apos;t killed me by now, it ain&apos;t gonna." He offered me a drink as well, but surprisingly, I just wasn&apos;t feeling very thirsty! 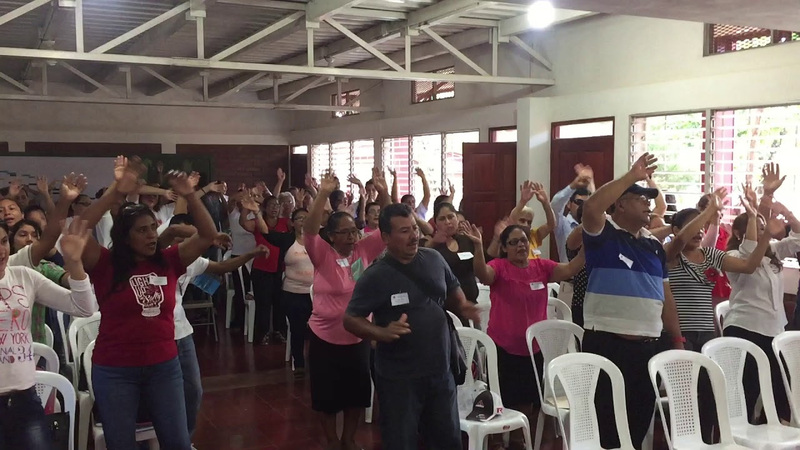 We were also able to use some donated funds to organize a workshop for all of the Caritas organizations throughout the Diocese of Granada. Each parish has a Caritas or Social Outreach Committee, and we were able to offer a training, leading them through a strategic planning process where they left with their plans for outreach for 2018. If you click on the video above, you can see their enthusiasm as they begin their day with some praise and worship. These type of capacity building events are very important as we try to invest in solutions that empower the local people to serve as effective leaders in their own communities. 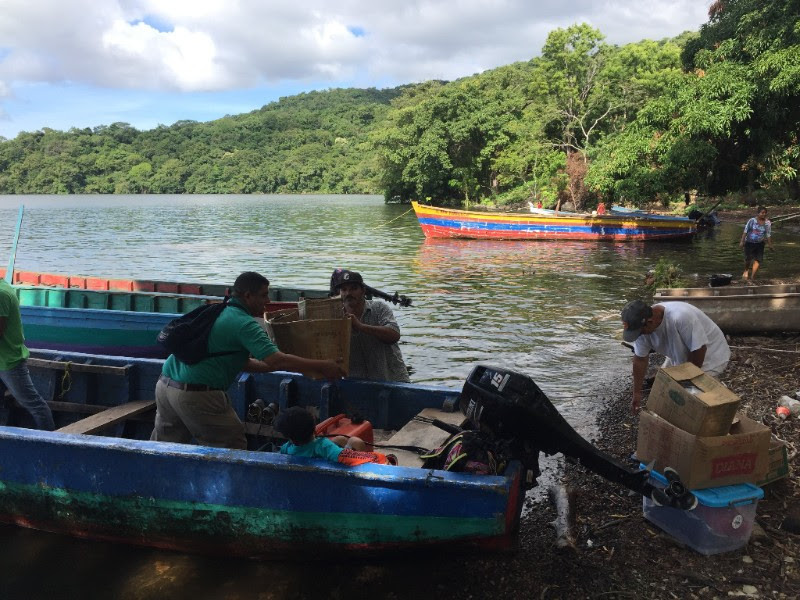 We continue to work in the community of Las Galeras, on the outskirts of Granada. 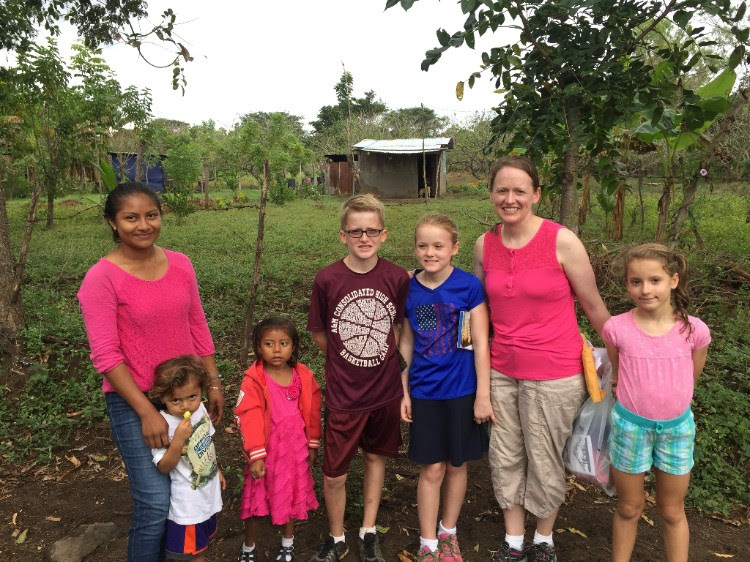 Above, Katy and the kids are doing pastoral visits to some of the homes. Unfortunately, one of the pillars of Las Galeras, a gentleman named Don Fernando, passed away unexpectedly. Many communities here have the beautiful tradition of gathering in the home of the deceased person for prayer after certain milestones, for example 9 days after death, 40 days after death, etc. 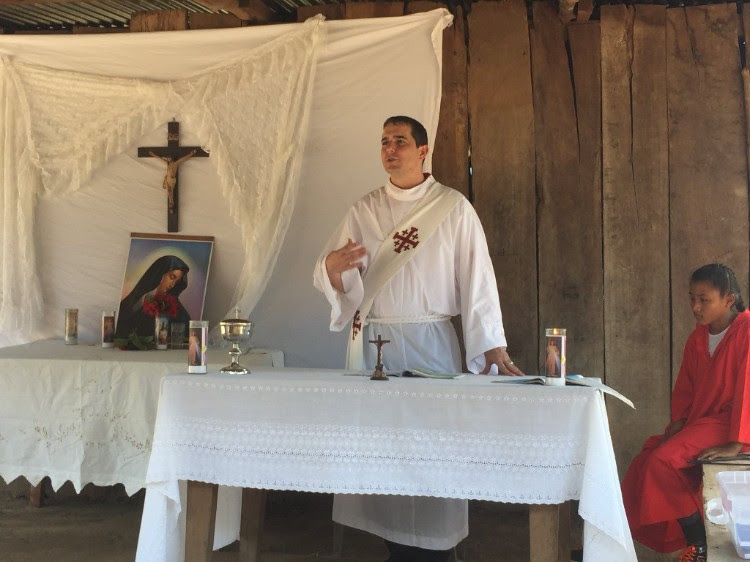 Here, Pat celebrates a communion service outside the humble home of Don Fernando. The family went through much trouble to create a special altar and then prepared a nice lunch for everyone who came. On Ash Wednesday, Pat received a message to stop by and distribute ashes at a local public school. He was told it was going to be a small service, mainly for the teachers. When he arrived, there were over 500 children in the patio waiting for the celebration! 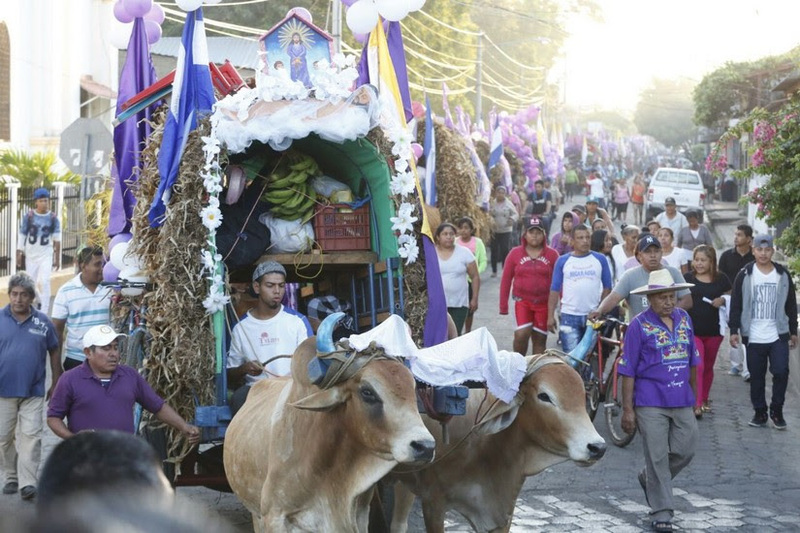 Each year at this time, the pilgrimage in "Carreta" takes place in Nicaragua. A traditional carreta is like a stage coach pulled by two oxen (although some have modernized and use horses!). 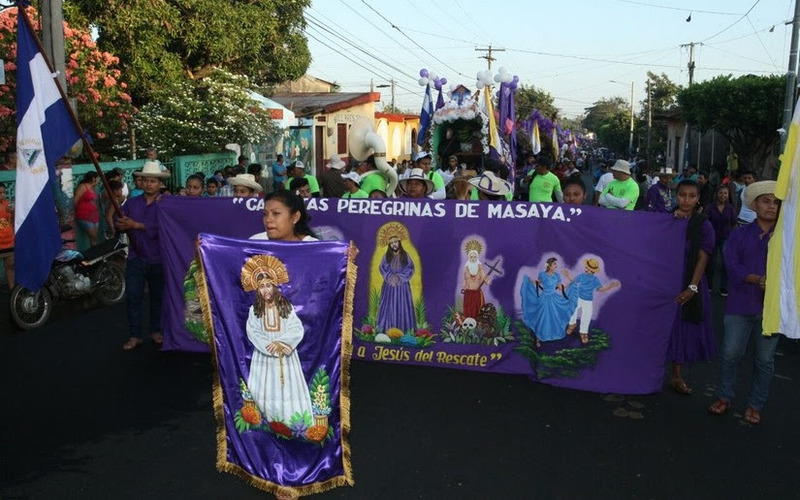 The pilgrims leave from all over Nicaragua, but mostly from the rural areas. 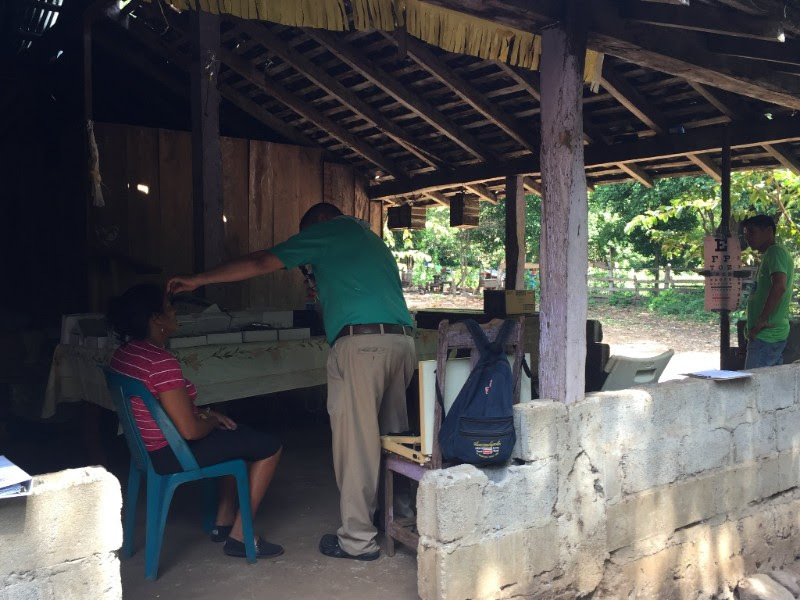 The travel in caravan for a couple weeks, to the church of "Jesus del Rescate" in the city of Popoyuapa. This translates as Jesus of the Rescue. They sleep in their Carretas, with strangers often providing them with food and water along the way. The pilgrimage culminates in Popoyuapa with the celebration of the Stations of the Cross and Mass. This year over 600 carretas made the journey. Some are so faithful to the annual pilgrimage that they won&apos;t miss it for anything. 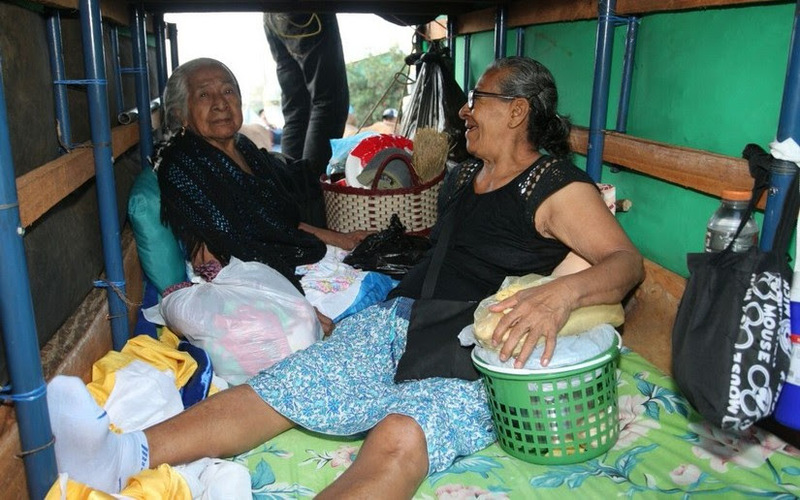 In fact, this year a young woman gave birth in her carreta in route to Popoyuapa. It is a testament to the faith of the people. 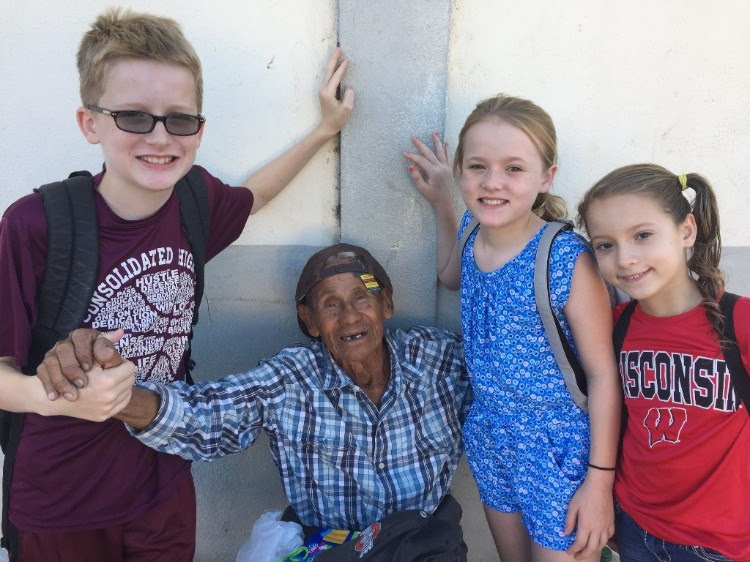 In their suffering and poverty, they are able to connect in a special way with "Jesus del Rescate". Jesus who suffered on the way to Calvary and conquered death for our salvation. 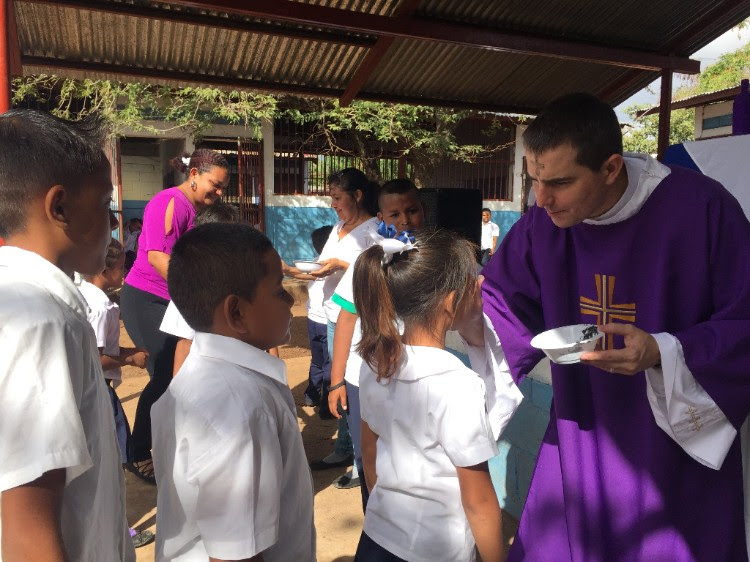 As the Cardinal, Bishop of the Archdiocese of Managua said, "it is beautiful to see simple people coming from all over the country with a spirit seeking an encounter with Jesus." He went on to speak of the importance of finding that point of encounter with Jesus, who comforts us in the most difficult moments and always offers us his mercy. This is the challenge we all face, seeking an encounter with Jesus... may we all accept that challenge as we enter Holy Week, even if we don&apos;t have our own carreta! As they say, "age is just a number." The two folks pictured above have 200 years between the two of them. Camanche, who shines shoes on the street corner, is a delightful man who just celebrated his 98th birthday. We got him a new hat for his birthday, which he really enjoyed! Best shoe shine money can buy, guaranteed. And what does he make per pair of shoes? US $0.30, that&apos;s right, 30 cents. Maria, a lady who lives in the mountainous region of Boaco came in for an eye exam. Pat&apos;s jaw dropped when he registered her for the eye clinic and she told him that she was 102. After getting her glasses, she left the church. Pat followed her to ask her where she lived and how she was going home. She explained that she lived a couple of miles away and had walked to the clinic by herself because, "she couldn&apos;t see". When Pat gave her a puzzled look, she said, "Don&apos;t worry, I know where I came from and I know where I am going." At the end, she acquiesced and she let Pat give her a ride home, indeed a couple of miles away in the hills, crossing rocks and streams on the way to her house. 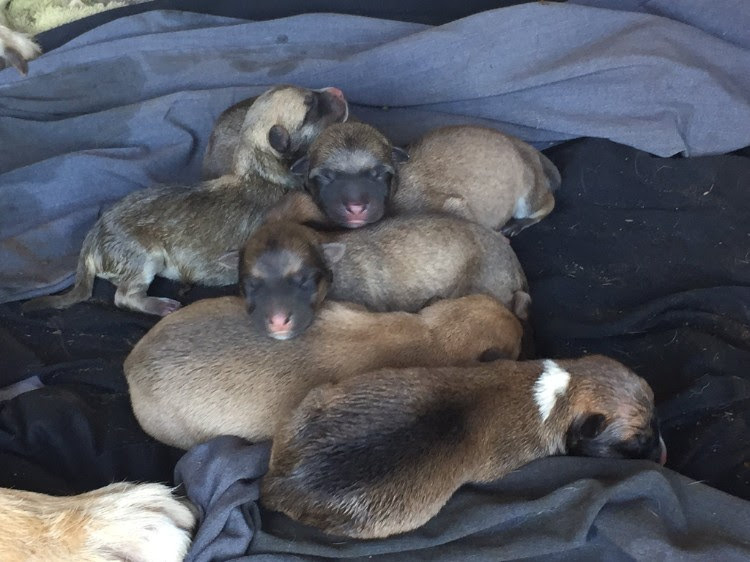 At our house, our dog (Caramela) had 8 puppies. We tried to save the puppies by feeding them goat&apos;s milk that my Dad found in Boaco, but some of them died anyway. So now we have 5. I enjoy holding them and feeding them from the bottle because Caramela is not very healthy. We thought Caramela was spayed. June 24th - July 1st. This medical mission will be coming from College Station and serving the many small communities of St. Teresa of Calcutta Church in Nandaime. This team is in search of medical professionals to complete the team. Kathy Polzer from St. Thomas Aquinas Church is leading this group. Please contact her at kpolzer@csisd.org or at (979) 777-4350 for more information. Anyone interested should make contact with Kathy before the end of March. And please pray for the success and safety of the April 21-28 Christ the Healer mission team. We look forward to hosting them soon. I know they will enjoy going to visit our new friends on the Island of Zapatera.